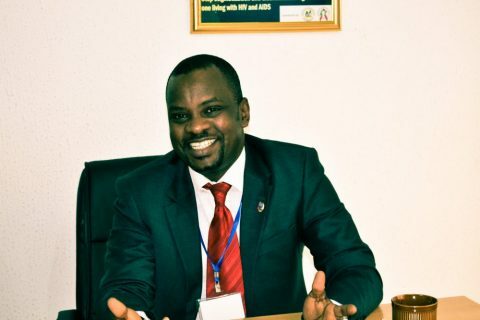 We are very pleased and proud to announce that Dr. Gidado Mustapha M.B.B.S, MPH, MSc., has been selected as the new Director of the USAID funded global Challenge TB (CTB) project. He will replace Dr. Maarten van Cleeff, who will retire soon. Dr Gidado is currently CTB Director and KNCV representative in Nigeria. He is known for his leadership skills and manages over 70 staff members at both national and regional level. Dr Gidado, will soon receive a Doctor of Philosophy in Public Health (PhD) degree based on his studies on quality of MDR-TB care from a patients’ perspective (Walden University, USA). 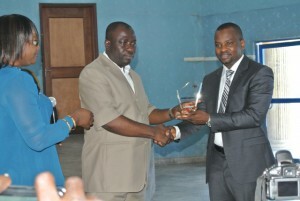 In addition, he holds several relevant certificates such as a Certificate on Leadership and Management. As important is his impressive career, which includes 17 years’ experience with TB and TB/HIV implementation at all levels of the healthcare system. Moreover, Dr. Gidado brings ample experience with USAID through the TB CARE I and current Challenge TB Project and with working with government systems and funding partners such as the Global Fund. Dr. Gidado has co-authored 24 papers on TB and leprosy, with 64 international conference abstracts and related presentations. He has a broad international network and brings international field experience through consultancies in other African and Asian countries. Last but not least, he has proven to be a very effective communicator, engaging both different types of media and other technical and non-technical stakeholders. KNCV is confident that with Dr Gidado at the helm, the second phase of Challenge TB will bring the successes we are all committed to achieve.